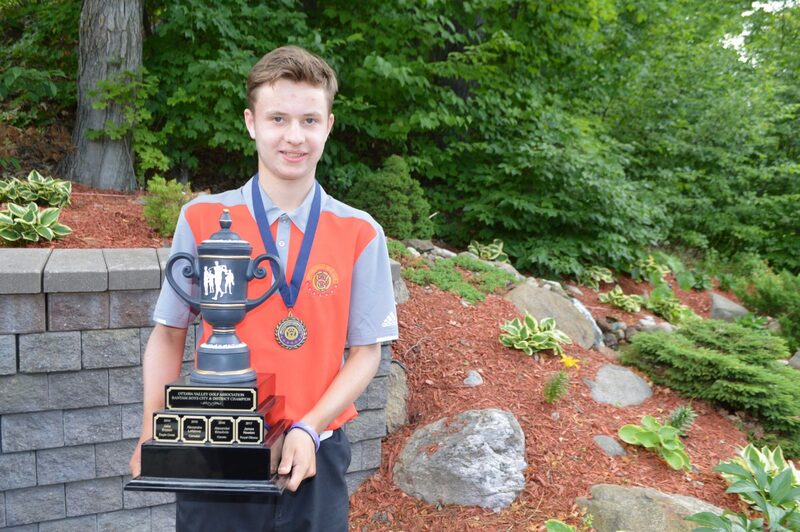 The field of Ottawa Valley Golf Association Junior Boys and Girls played the Kingsway Park (par 72) and Hautes Plaines (par 70) Golf Clubs in Gatineau, Quebec over the past two days to determine bragging rights in four age categories in the City & District Championships. 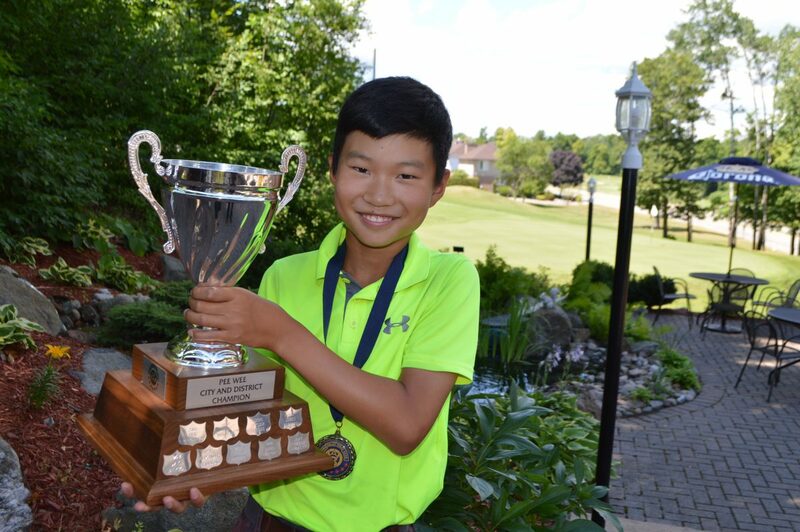 First off the course were the Pee Wee Boys with Ottawa Hunt & Golf Club’s Yaorui Xu (76-73-149) leading the way, followed by Hautes Plaines Zachary Robert (88-84-172) and Gabriel Comtois from Kingsway Park (104-119-223). 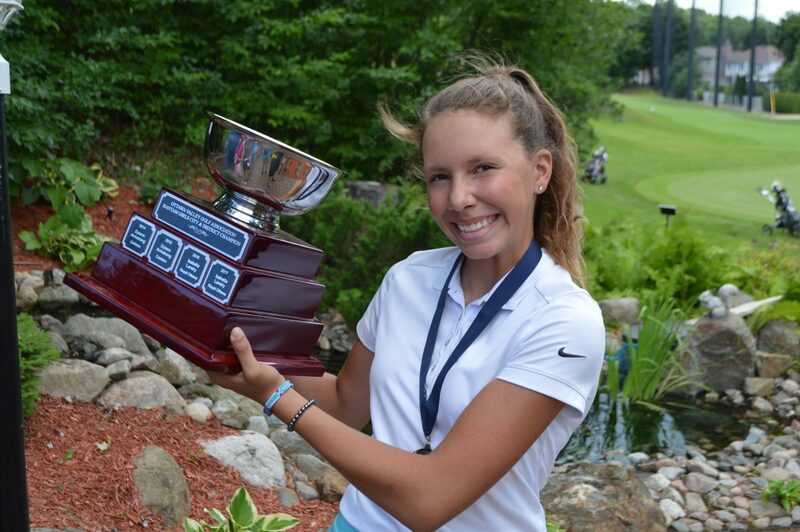 Kanata’s Lauren Gervais led the Bantam Girls with her two-day total score of 159 (75-84). She was followed by The Royal Ottawa’s Maddy Pytura (79-89-168) and The Royal Ottawa’s Ashley Lafontaine (83-90). Ellis Kinnaird from the Mississippi Golf Club shot 74-73 for a total of 147 to lead the way in the Boys Bantam Championship. 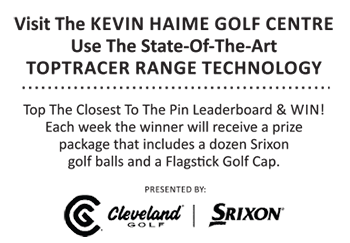 He was followed by Samuel Kimmerly (77-78-156) from the host Hautes Plaines Golf Club and Francisco Sanchez (75-81-156) from the Rideau View Golf Club. 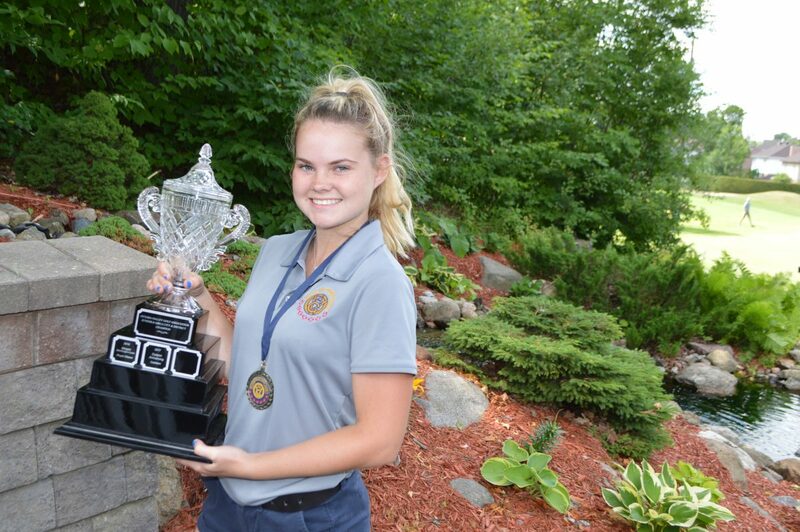 Kanata’s Chelsea Fracke (83-84-167) was the winner in the Juvenile Girl’s division and in second place was Makenna Smith (94-104-198) from Hylands Golf Club. The Juvenile Boys division was won by Carleton Golf & Yacht Club’s Aiden Coyle (74-74- 148) and he was followed by Kanata’s Alexander Brisebois (70-85-155) and Rivermead Golf Club’s Gabriel Cedeno (79-77-156). 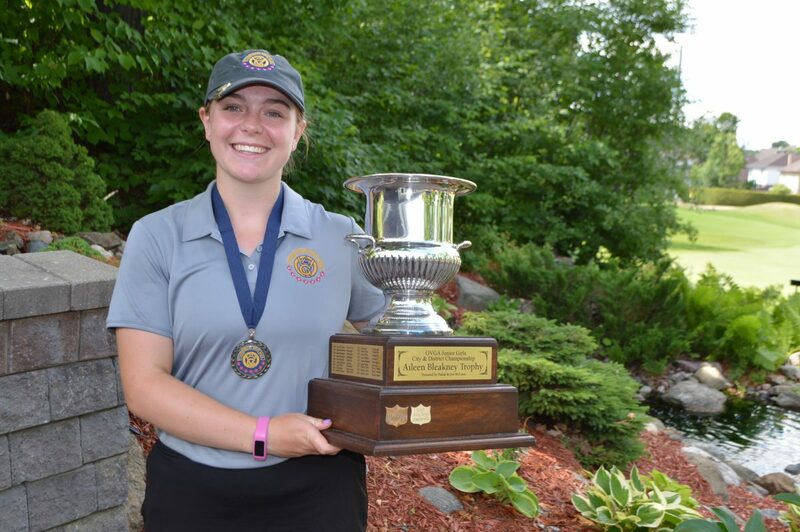 Haley Yerxa from the Ottawa Hunt & Golf Club was a repeat winner in the Junior Girls division with her two-day total score of 145 (70-75). Second place went to Florence Leduc (74-75-149) from the Hautes Plaines Golf Club and Carleton Golf & Yacht Club’s Dylann Armstrong (71-83-154) who finished third. 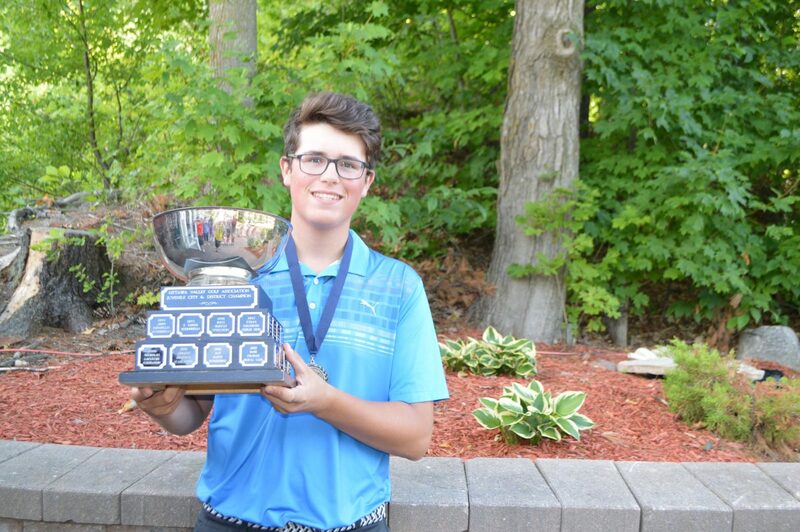 2017 Juvenile City & District Champion Malcolm Simpson from the Rideau View Golf Club took top honors in the Junior Boys division this year with his scores of 72-74 and a two-day total of 146. 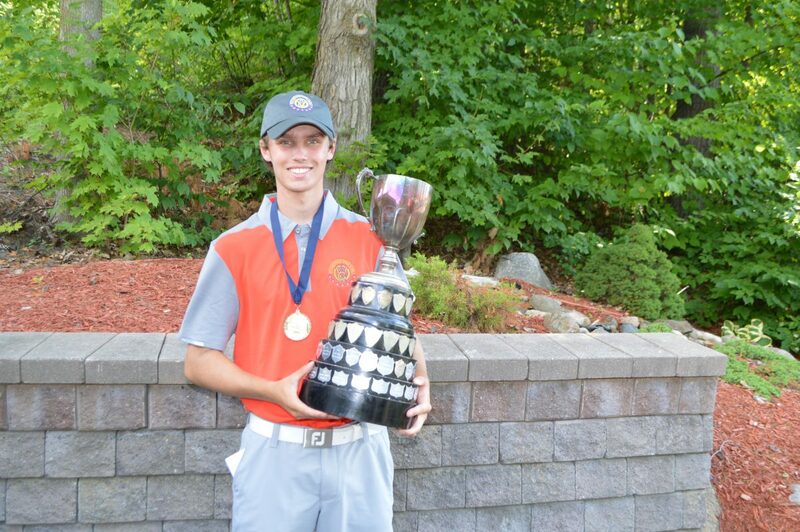 Kanata’s Hunter McGee (71-78-149) took second place followed by Kanata’s Jakob Wiskowski (72-80-152). Congratulations to all of the junior OVGA competitors who toughed it out over the two days. Congratulations also to the OVGA volunteers headed by Jim Davidson on another job well done. Your efforts were appreciated by all of the OVGA Junior City & District competitors.